Eurocom Corporation (www.eurocom.com), a leading developer of long lifespan, fully upgradable notebooks, high performance mobile workstations and mobile servers is adding the new NVIDIA GeForce GTX 580M graphics processing unit (GPU) to the available GPU options in Eurocom Notebooks. The addition of the NVIDIA GeForce GTX 580M gives Eurocom customers an ultra high performance GPU for gaming in single and SLI (dual) configurations. The addition of the NVIDIA GeForce GTX 580M, the highest performing mobile solution, gives Eurocom customers a complete choice of video processor options to integrate into an embedded design or configure into their new Eurocom system. “The newest innovations from NVIDIA will push our impressive performance figures even further. They will improve our line Performance Gaming and Business Notebooks” said Mark Bialic, Eurocom President. Eurocom notebooks including the Panther 3.0, Neptune, Racer and Fox series provide gaming, multimedia and business capabilities with support for the best available processors (Intel Xeon, Intel Core i7, i5, i3 mobile and desktop), Graphics Cards (NVIDIA GeForce, NVIDIA Quadro), storage drives (SSD, HDD, Hybrid) in RAID 0/1/5/10 and support for up to 32GB of DDR3-1333/1600 RAM. All Eurocom notebooks are fully configurable and can be configured to the application and performance requirements of the individual user. The NVIDIA GeForce GTX 580M is the fastest notebook GPU in the world for playing the latest games at 1080p and in 3D. For maximum performance Eurocom supports two GeForce GTX 580M GPUs running in SLI mode in certain systems. 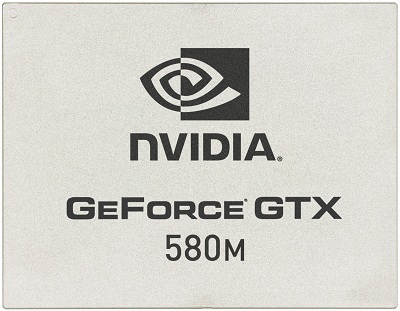 The newest offering from NVIDIA, GeForce GTX 580M supports NVIDIA 3D Vision™ technology, NVIDIA PhysX® technology, NVIDIA CUDA® architecture, for GPU computing applications and are also supported by the highly-praised NVIDIA Verde™ notebook drivers. GTX GPUs also support NVIDIA SLI™ technology, GeForce GTX 580M GPUs offer even more performance-per-watt than the previous generation, with faster frame rates and more detail with the same battery life. Eurocom is a leading developer of mobile computer technology since 1989. The company has produced many firsts and continues to engineer VGA solutions that inspire and enable individuals and companies to reach great possibilities. Eurocom has been a leading innovator in the mobile computer industry since 1989, is currently the only developer in the world offering a Server on the Go solution along with a full line of Mobile Workstations, RAID 01/5/10 with up to 4 hard drives. For more information on Eurocom please visit www.eurocom.com. NVIDIA, , the NVIDIA logo, GeForce, PhysX, CUDA, SLI, Verde, Quadro, and 3D Vision are trademarks and/or registered trademarks of NVIDIA Corporation in the U.S. and other countries.